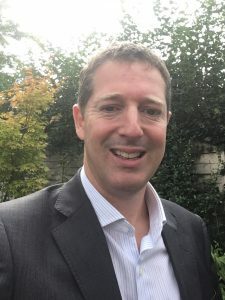 Steve has recently joined Vision after a very successful career with over 20 years experience as a dedicated Independent Financial Adviser working for a local company in Cheltenham. This has enabled Steve to build on his knowledge and experience within a diverse range of situations for personal and corporate clients. Steve continues to be committed to the importance of building and maintaining long term relationships with clients, based on trust, honesty and providing a great service. Central to this he offers a friendly, professional and personal service providing tailored advice, which is unique to clients individual requirements. He also ensures the advice is presented in a clear and concise way, always with the clients best interests at the centre of everything he does. During the many years in the industry as an Independent Financial Adviser, Steve has built up extensive knowledge in all aspects of personal and corporate advice, specialising in pensions (typically in or around retirement), investments and tax planning, particularly inheritance tax. Outside work, Steve enjoys spending time with his wife and son, including walking their dog and many activities their son undertakes as well as enjoying playing squash, badminton and the occasional game of golf.